Wild Country’s unique taste and aroma have sparked many yummy cooking ideas. Add a little buzz to your recipe list and see what wonderful creations await you! Wow. This is the besttttt honey Iâ€™ve ever tasted. The thickness was great. And itâ€™s so sweet and it could replace any sugar in desserts I make. Yum!! I used to hate the taste of honey, but this is the first honey I've tried that I actually love the taste of. I add it to everything where I need a touch of sweetness, teas, oatmeal, smoothies, etc. And I love that it's a Canadian brand. Delicious tasting honey I add to everything from teas to oatmeal, smoothies and marinade. I'm addicted to raw honey. So DELICIOUS! Good enough raw honey for its price, acceptable. I mainly use this for my skin. It actually tastes pretty good, too. I use it for my skin and I love it! Tastes good too! I have recently become obsessed with everything honey. I went on a buying spree trying every raw honey I can get my hands on. This is by far the BEST I have found. It tastes amazing in every way and definitely makes my herbal teas taste even more delicious! Works great for honey shampoo! Great taste and so creamy. Great to cook with.The flavor isn't too sweet or overpowering, so it's great to use for cooking raw black beans. My family loves this great tasting honey. My search is over!! The best raw honey I have ever tasted. 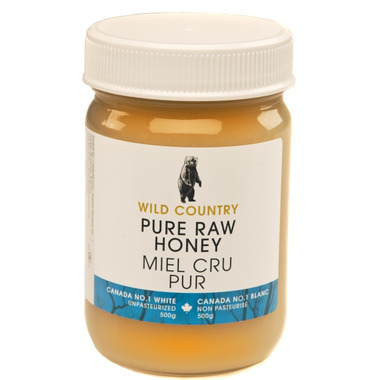 I was shocked at how much better this honey tastes than everything else I've tried. Regular, store-bought honey, or even fancier ones, don't even compare to this. Love it! Delicious! Extremely good quality and very tasty. I am a repeat buyer. Delicious honey! Sweet and can be used as a spread on bread. I would highly recommend this product. Amazing. My favorite honey by far. Makes a world of a difference for baking. Delish ! Not too hard and not too liquid-y. 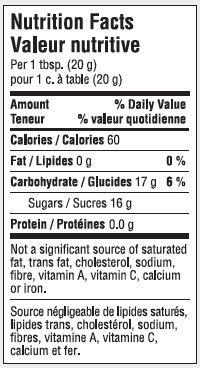 Love that it is raw and unpasteurized and Canadian. Will buy again ! Love this honey. I'm on my second bottle. Will order again and again.